Please Join Us in Congratulating Fast Track Signs as December's Logan County Chamber Business & Entrepreneur of the Month. 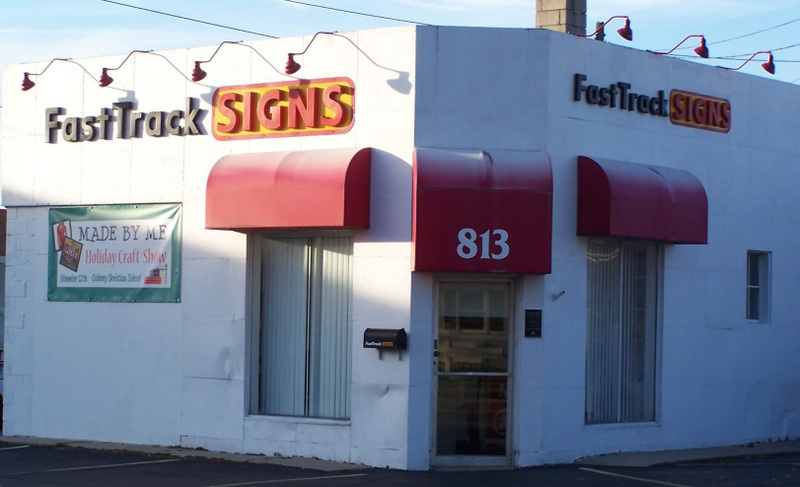 FastTrack Signs opened their doors for business in January 2006 when Dennis and Carly Schaub, lifelong Logan County residents, set up shop at 813 North Main Street, next to Vicario's Pizza. Dennis received his Bachelor's Degree in 2001 from The Ohio State University in Art & Technology and has worked in the sign industry since graduating. His education provides him with the necessary skills to assist with logo design and overall sign layout. Carly has served in the customer service field since receiving her Associate's Degree in Marketing and Sales from Lima Tech, now known as Rhodes State Community College, and strives to provide Logan County residents with a great buying experience. "It is our mission to provide quality products that are delivered in a timely manner to our valued customers." At FastTrack Signs, they provide a wide variety of sign options. Some of their more popular products include: banners, magnetics, yard signs, dimensional letters, vehicle graphics, vinyl lettering, digital prints, sandblasting, architectural site signs, logo design, window graphics, and much more. They understand that purchasing a sign can be a challenging, time-consuming, and often overwhelming venture and it is their goal to come alongside their clients and guide them through the process. "Whether you need a banner by tomorrow, yard signs, magnetics, vehicle graphics, or an architectural site sign, we work to satisfy your needs." Their expertise in graphic design, marketing, and sales, coupled with their quick turn-around design studio, enable them to provide customized advertising and marketing solutions for their clients. They enjoy creating the products for their clients, but they love seeing how those products promote sales and growth for their clients. As for marketing strategies and business models, they have tried to adopt business strategies consistent with some of those outlined by Seth Godin, author of the "Purple Cow." He suggests the importance of adapting early to new tools like social media and looking for ways to provide something different to meet the needs of their clients. Godin refers to this as "being the Purple Cow." In an effort to adopt some of his strategies, they coined a unique catch-phrase to describe their business process "Fast, Easy, Simple, Done!" They believe that quick turn-around is key. "A client could message us on Facebook tonight for a yard sign and by lunch tomorrow we could have it ready." 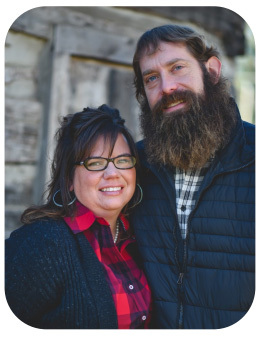 They chose Logan County because they were raised here and wanted to be close to family. 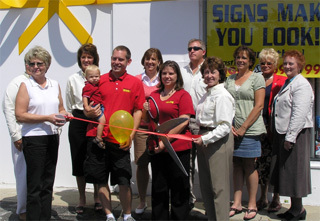 Opening their business in January of 2006, they quickly realized the importance of becoming a Chamber Member. In May of the same year, wanting to show their commitment to our community, they invested in the Chamber and felt that the networking provided by chamber membership was key early on to their success. Carly participated in Leadership Logan County, a program that was offered through the Chamber at that time, and a program reintroduced in 2015 - 2016. She has also served on a number of committees for the Chamber over the years, including serving as a Chamber Board Member. We thank FastTrack Signs for their 11 years of service and commitment to Logan County and for their Chamber membership!